Lola is to build an all-electric racing car in conjunction with established sportscar team Drayson Racing Technologies. The car - which will be named the Lola-Drayson B12/69EV - will be developed by the two groups, with Lola taking responsibility for the chassis and Drayson undertaking work on the electric drivetrain. 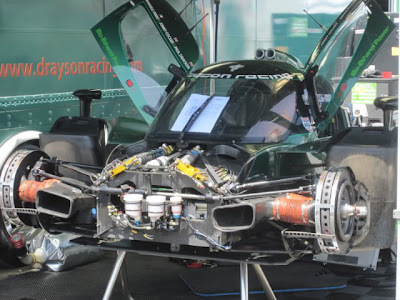 Paul Drayson, who has led his team to wins in the American Le Mans Series and the British GT Championship over the past four years, said: "This project aims to tap into the huge demand from high tech industry for innovative new technologies that improve vehicle performance and sustainability. "The Lola-Drayson B12/69EV will act as a racing laboratory, catalysing technology innovation and driving commercial application in the automotive and related industries." Lola managing director Robin Brundle added: "This joint technology showcase programme will truly evidence the technical excellence that exists within Lola. We are delighted to work with Drayson Racing and on this very exciting and multi-industry led programme. "You cannot fail to be impressed with the full range of new technology that will be used in this first project which will demonstrate performance in a different class." The car, which is being aimed at the proposed FIA Electric Car Championship from 2013, is due to run during the latter stages of this year. An entry into the Le Mans 24 Hours in the future was not mentioned.